I was just going to tag these on as comments to the previous post, but there’s something in here that I thought was huge and while a small comment, I think it deserves a post. The word “loud” is a funny thing. It is a word that gets thrown around quite a bit, but doesn’t necessarily mean what the word really means. While “loud” complaints sometimes mean that “you’re hurting my ears with this volume”, I’ve found that a lot of times it really means “I don’t like this style of music.” As Travis mentioned in his comment, figuring out which complaints to really listen to and which ones to ignore can be an art form in and of itself. We are not producers. We are engineers. At my present gig, I am fortunately blessed with the opportunity to work my own tastes into play and can play the role of audio producer/artist to an extent. However, I know that ultimately I am not the final decision maker. I am here to serve our producers and service programming leadership. If we are loud, it is because several people with more responsibility than me want it that way. If we are quiet, it’s the same deal. I put it where they want it. I have my own tastes and they do tend to run in line with my superiors, but when they don’t I’m here to serve my leadership. Sound reinforcement is a support service in AND out of the church. When you have a clear understanding and definition of who you’re serving, you are on the road to a win. Dave you have hit it on the head as well with your comment that its about style not actually volume. 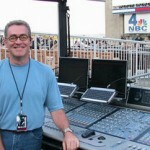 I spent a number of years doing production work for a large regional sound company before I got into ministry. I had formed that same theory and decided at one event to test it. It was a weekend city festival type thing where there were 20 or so artists/bands over the course of 3 days. One night they had a pop/rock group that was very good but they were loud and I mixed it that way. Certainly nothing out of the ordinary mind you but it was about 100-105 dba at FOH. I got several complaints from nearby vendors that it was to loud and like you pointed them in the direction of the show producer. Next day we had a typical southern gospel group on stage, good musicians for sure even though it was not my taste. I wondered at that moment what might happen if I pushed the volume a bit. I did and to the same level it was the night before. No one complained, not one peep. In fact lots of compliments. It has been my experience that it is more about style than volume typically. Thanks for all the good information. Keep us up to date about your life with the Venue. I’m leaning toward one for us eventually so the more I know the better I can make that decsion. Check out the new layout! I have been using my google reader for a while now, and I’m seeing that I miss stuff by not actually going to the actual website. I completely agree with the “support service” line in your post. I actually like the idea of serving (HOPEFULLY) unnoticed.